A team of scientists have used air bubbles in polar ice from pre-industrial times to measure the sensitivity of the Earth’s land biosphere to changes in temperature. The paper published today in Nature Geoscience has verified and quantified the relationship for the first time and shown how it impacts the cycles of carbon between land, ocean and the atmosphere. How these sinks will behave in the future has been a significant source of uncertainty in climate projections. The paper led by Dr Mauro Rubino of CSIRO and the Seconda Universita di Napoli has revealed that the Earth’s land biosphere takes up less carbon in a warmer climate. “Until now it has only been assumed that as the Earth’s surface warms the ability of land-based plants to store carbon is reduced,” paper co-author and CSIRO senior scientist Dr David Etheridge said. "In this study we were able to quantify the relationship. “Reduced storage of carbon by the biosphere leads to higher atmospheric CO2. "This increases the Earth’s surface temperature, which leads to even less carbon stored by the biosphere, causing a positive feedback,” Dr Etheridge said. 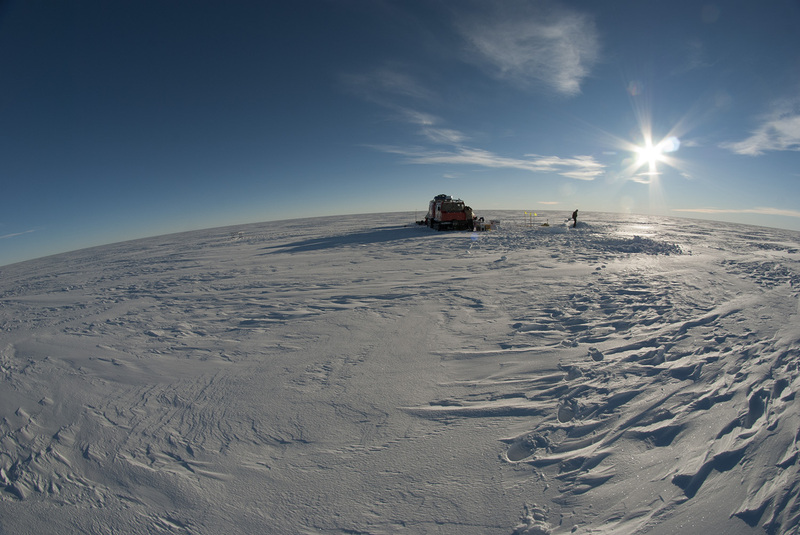 The research team measured air trapped in ice core samples from the Australian Antarctic Program’s unique Law Dome site where past atmospheric composition is preserved in fine detail, together with ice cores from the British Antarctic Survey. “The very high detail preserved in Law Dome ice cores has been a key to unlocking this information,” Dr Mark Curran, co-author from the Australian Antarctic Division said. The study focused on CO2 changes preserved in ice before, during, and after a naturally-cool period known as the Little Ice Age (1500 to 1750 AD). This period is well suited to focus specifically on the relationship between CO2 and temperature because it occurred just before the growth of industry and agriculture affected CO2 concentrations and the deposition of pollutants and nutrients. “Changes in the carbon-13 isotope ratio, which is a signature of carbon from land plants, show that the CO2 changes during the Little Ice Age originated from the land biosphere,” Dr Etheridge said. Previously published measurements of another natural ice-based tracer of the carbon cycle, a gas called carbonyl sulfide (COS), were used to rule out the possibility that early land-use changes could have contributed to the CO2 change seen through the study period. This confirmed that the CO2 changes can be related to variations in land surface temperature, which are known from paleoclimate proxies such as tree rings. “How plants and soils respond to warming is one of the big unknowns in climate projections so it's great for modellers to have some independent numbers to compare against rather than just comparing models with each other," paper co-author Dr Peter Rayner from the University of Melbourne said. Dr Etheridge explains that this result is relevant to coming decades, because it shows how the biosphere responds to temperature changes that are comparable in magnitude and duration to the likely future warming. Previous ecosystem carbon cycle and climate studies have had limited geographical extent and duration. “This finding, and feedback quantification, will need to be taken into account for models of the Earth system to project future climates under various scenarios of human greenhouse gas emissions, such as the Australian Community Climate and Earth System Simulator (ACCESS),” Dr Etheridge said. The paper is a result of a collaboration between CSIRO, the Seconda Universita di Napoli, University of Melbourne, British Antarctic Survey, University of East Anglia, Australian Antarctic Division, University of Tasmania and the Australian Nuclear Science and Technology Organisation. 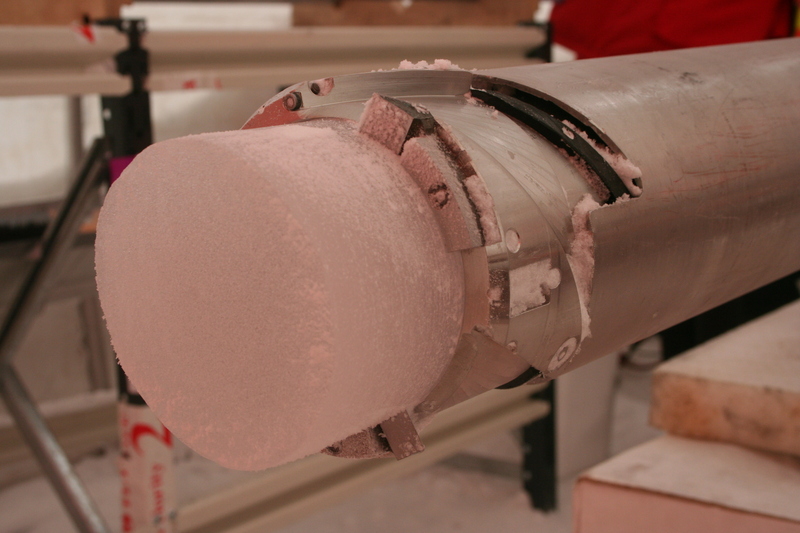 Pictures and vision of ice core drilling in Antarctica available courtesy of the Australian Antarctic Division.